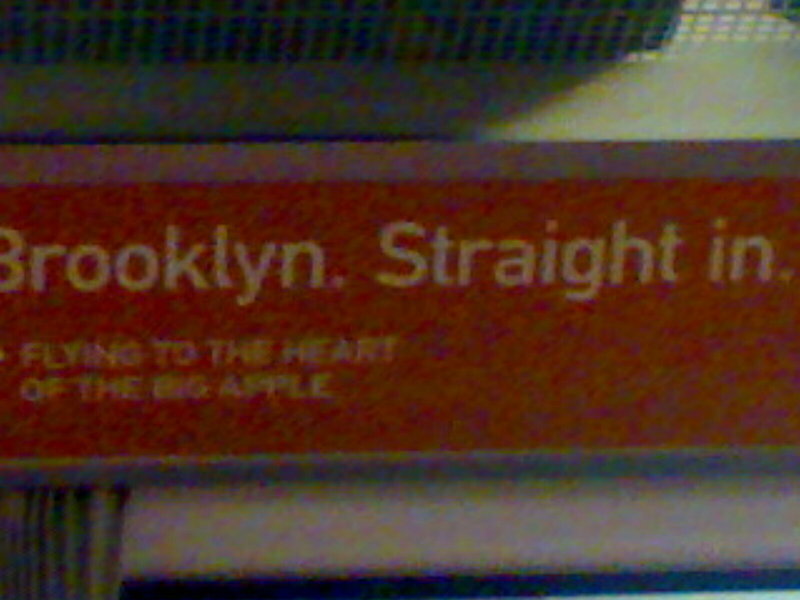 A flight carrier ad in Gatwick Express cart promises to take you straight to Brooklyn. And the smallprint adds an even more exciting destination: heart of Big Apple. Which for most new yorkers, I believe, should be more like lower Manhattan? Didn’t the two pilots on 9/11 already deliver on this promise?